Breast cancer is the most common form of cancer found in women, and it is the second leading cause of death from cancer in Canadian women. The Canadian Cancer Society estimated that in 2015, 25,000 women would be diagnosed with breast cancer, 5,000 women would die from the disease and 68 Canadian women would be diagnosed with breast cancer each day. It’s estimated that one in 9 women will develop breast cancer in their lives and one in 30 will die from it, making it very important for women to undergo proper testing. Mammograms are the best and most reliable method for identifying the presence of breast cancer, and getting them on a regular basis provides women with two important benefits. First, getting a mammogram regularly helps to increase survival rates because the earlier cancer is detected, the better the chance is of survival. Second, it leads to a better quality of life: early detection of breast cancer could mean less treatment and a quicker recovery time. A 3-D mammogram is a type of mammogram and is proving to be a more effective method for identifying the presence of breast cancer and lowering the number of false-positives. 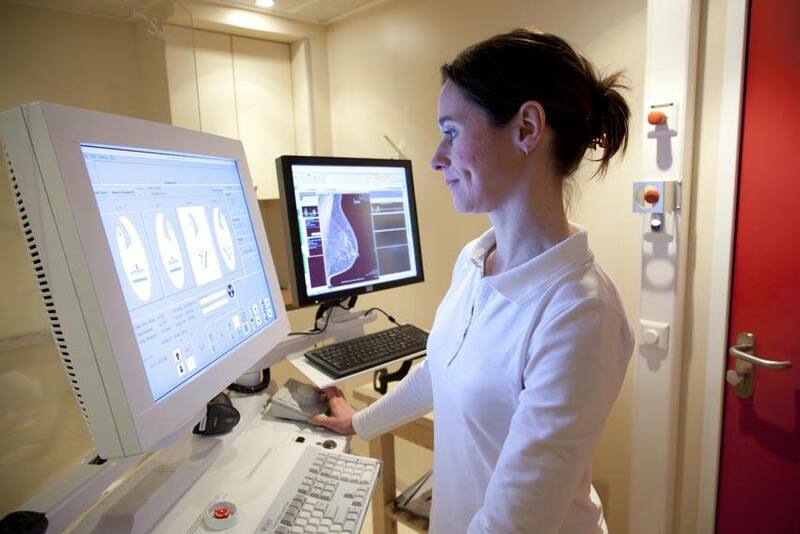 Researchers of a study published in the journal JAMA Oncology found that with traditional mammograms, 10.4% of women were asked to return for more testing, while 8.8% to 9.2% of women who received 3-D mammograms were asked to return. “False positive mammograms occur when results look like cancer, but turn out to be normal or benign tissue, and can lead to unnecessary follow-up tests,” says Rebecca Spalding in the Toronto Star. The study examined close to 24,000 patients over a four-year period. Patients were asked to get traditional mammograms in the first year of the study and then 3-D mammograms in the following years. False-positives are a particular drawback because they cause women to go through unnecessary biopsies and other testing that is not required. Other risks include false-negative results, over-diagnosis and increased exposure to harmful procedures. If you find a lump or notice an irregularity with your breasts, see your doctor immediately.